Working at Bite and Booze is an ongoing whirlwind. I’ve gotten more out of this job than I could have ever imagined. I figured out early in my time working with Jay to never turn down an opportunity to have a good time because those times usually turn out to be unbelievable experiences. Since turning 25 in January, I’ve dubbed this the “Year of Blair,” so when the Dominican Republic’s Magistry of Tourism invited me to travel to Santo Domingo, I couldn’t say no. My journey got off to a rocky start with plane drama, but after a stop in Atlanta and a gin martini at JFK, I made it to Santo Domingo. My sleepy friend and fellow travel writer/blogger Caroline Eubanks of This is My South and Caroline in the City met me in the lobby with a Presidente. I didn’t know it at the time, but holding a cold Presidente wrapped in a tiny white napkin was #soDR. Local chef Martín Omar González Mayí explained the lengthy process of making a traditional stew. Cooked down yucca, potatoes and other tubers combined with leaves from native plants like those seen in the pictures from the Mercado Modelo come together with different cuts of beef or pork. Typically served over rice, Sancocho isn’t too far from the stews and Cajun dishes of Louisiana. 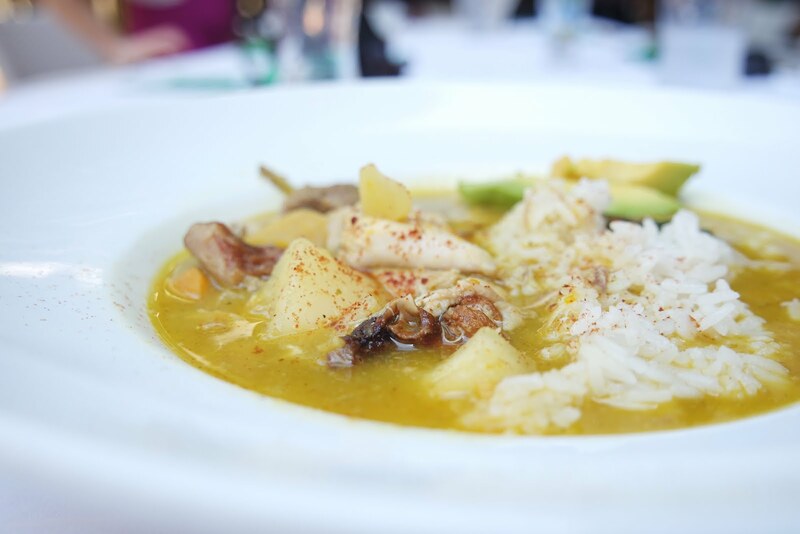 Chef Martín Omar's Sancocho served over rice with freshly sliced avocado. This local gathering spot is a great way to beach bum it, enjoy a few boat drinks and get your snack on. 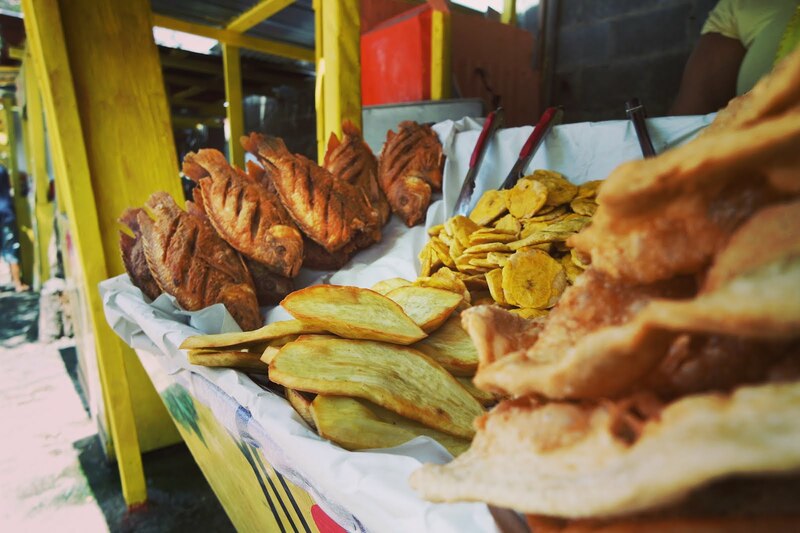 Vendors line the street selling whole fried fish, plantains, sweet potatoes and “Johnny Cakes” (fried sheets of dough) and carry them across the street for your beach munching pleasure. Fried whole fish, sweet potatoes, plantains, and "Johnny Cakes" at Boga Chica. 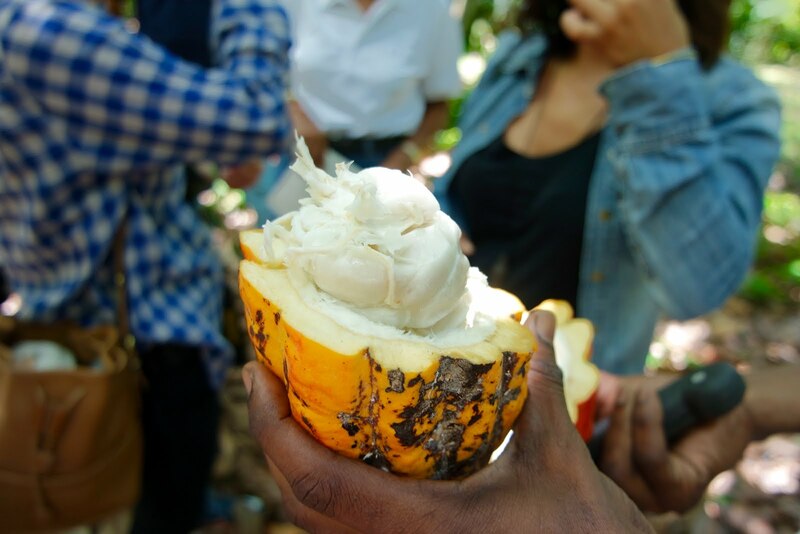 I learned Cocoa Pods contain delicious fruit that surrounds the beans. It’s super slimy but juicy and tasty beyond all reason. We got the chance to learn about the process of roasting and peeling the cocoa beans on a family's small plantation. Let me tell you, there's nothing like fresh hot chocolate! A fresh Cocoa pod sliced open. Look at all that juicy goodness! These tiny corner stores are brightly lit and carry everything from cigarettes to toilet paper. 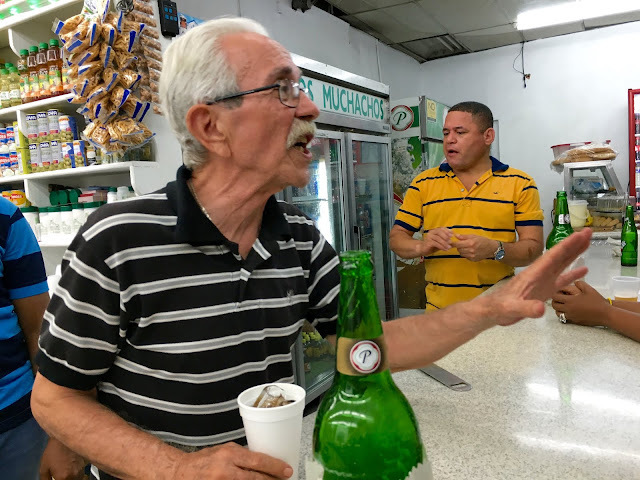 That list also includes the Dominican Republic’s answer to water: Presidente. Me and a few of the other writers had a great conversation with a lovely elderly English-speaking man sipping our beer from tiny dentist office cups while a couple danced to some Marc Anthony. Life made. Our lovely English-speaking friend at the Colmado and our bomber bottles of Presidente. On the way to the Ron Barcelo Rum Distillery, we made a stop at a roadside eatery. Similar to a lunch line/plate lunch eatery you might find in Louisiana, this place had avocado salad, whole fried fish, tamales, rice, etc. I went for the Pollo Guisado, bone in chicken stewed down with tomatoes, onions and spices typically served over rice. Jay Ducote sings the praises of this dish regularly, and it did not disappoint! 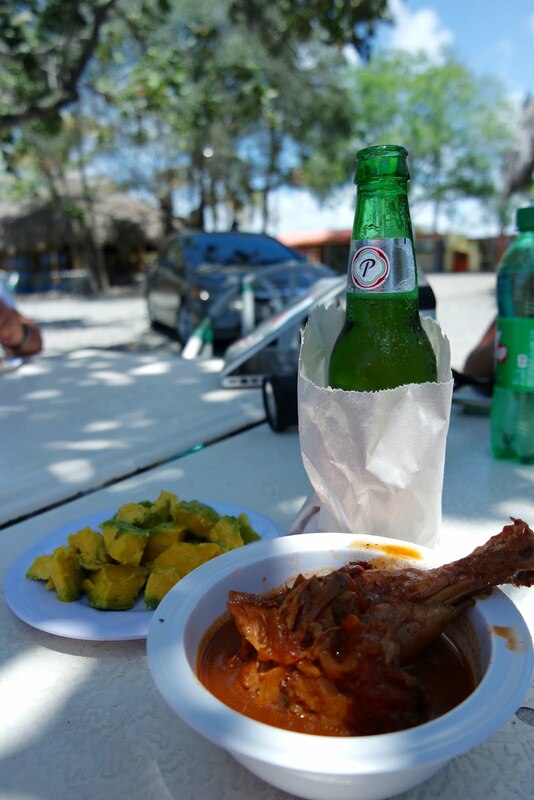 A bowl of Pollo Guisado accompanied by fresh chunks of avocado and a Presidente. Thanks for sharing this post with us. Was really helpful and excellent.